Our Service Writer Stations are specifically designed to handle the needs of today's service writers. Our cabinet allows you to house a complete computer system as well as printers and network devices. 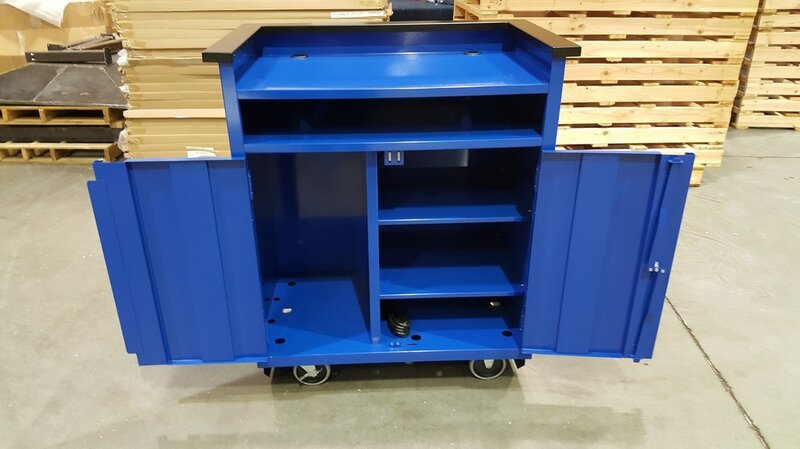 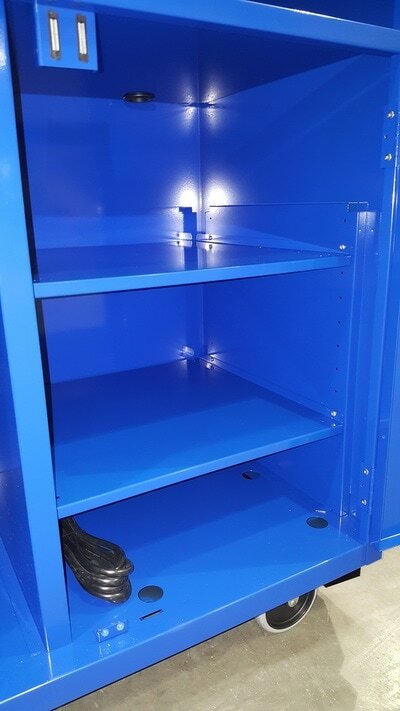 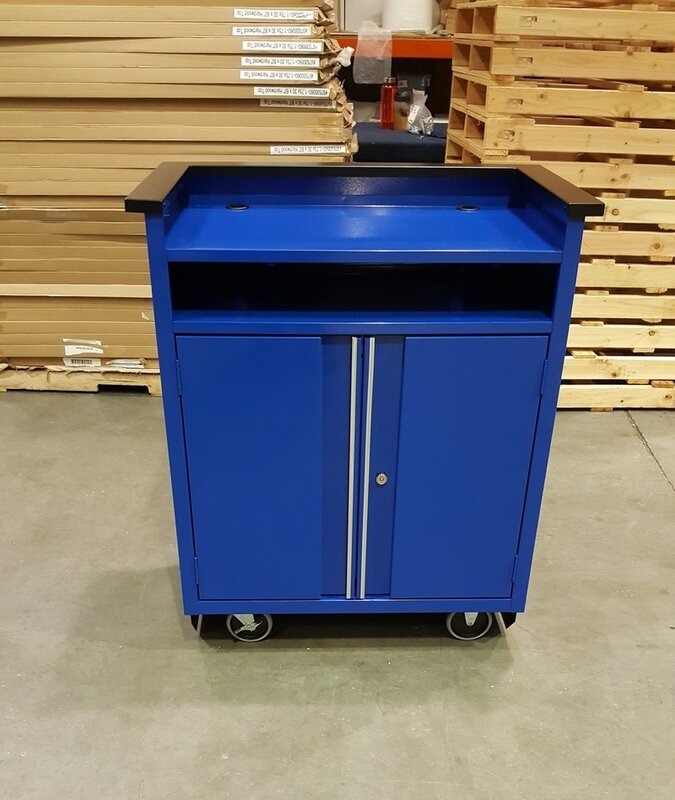 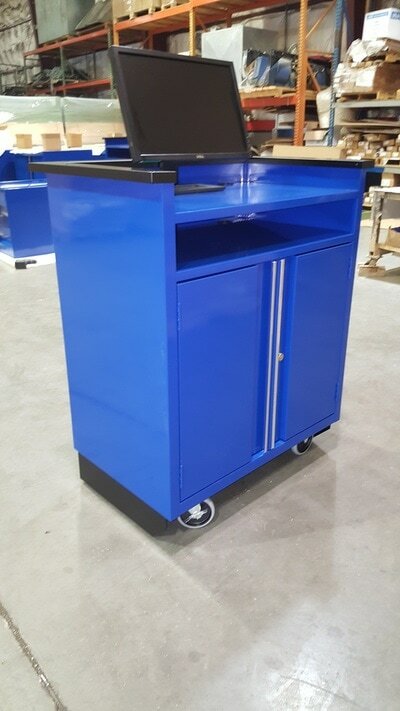 This cabinet allows you to easily move as needed with the large 5" casters with parking brakes. 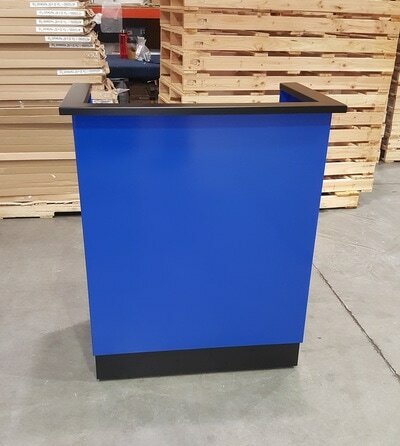 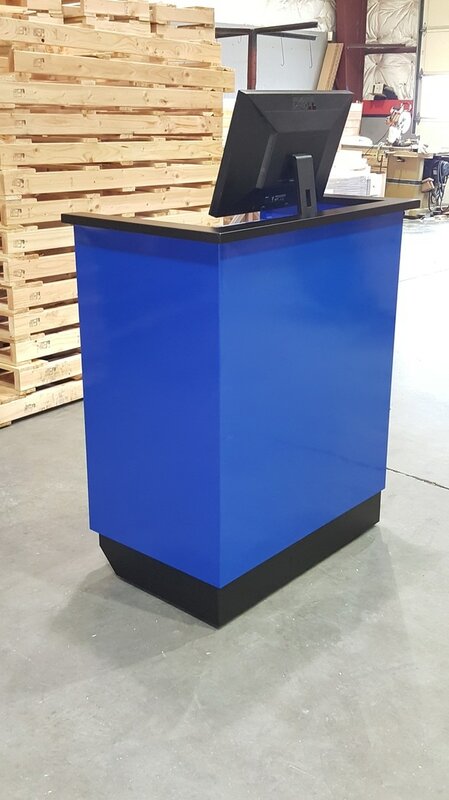 Our Service Writer Station is an affordable and essential for any shop that deals with customers directly and for customer service.